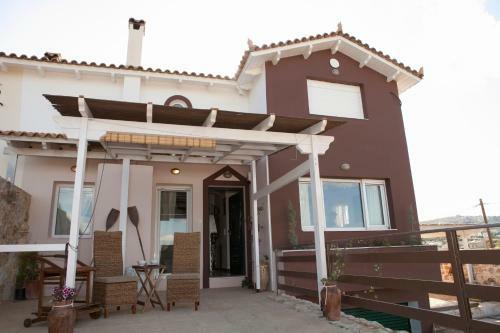 Athens Top Hill Sea View Villa is located in Athens in the Attica Region and lies within 5 km of Glyfada marina. The property features free WiFi and air conditioning. The villa is composed of 3 bedrooms and 2 bathrooms, equipped with bath robes. Zeus Hostel is centrally located, 300 metres from Monastiraki Metro Station. Guests can enjoy drinks and beers at the on-site bar. Free Wi-Fi in public areas and communal computers are provided. 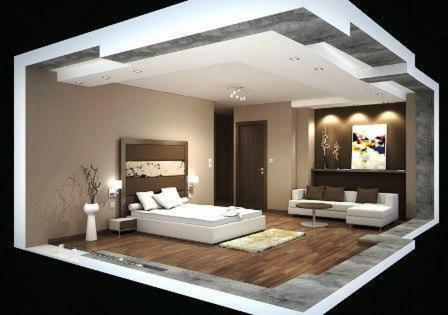 Zeus offer private rooms or beds in a dormitory. 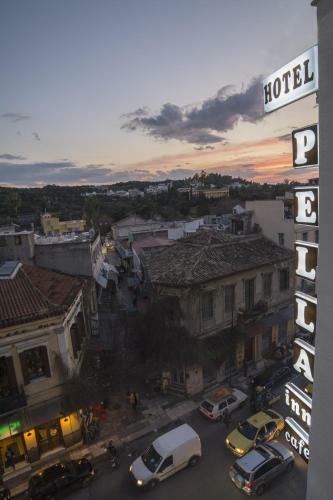 Pella Inn is just a 2-minute walk from Monastiraki Square with several restaurants, bars and the famous Athens flea market. 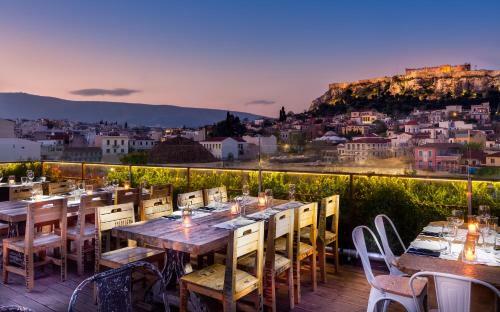 It offers a roof-top bar enjoying views of the Acropolis Hill and free Wi-Fi in public areas. Enjoying a central location, Athens Studios is 100 metres from the Acropolis Metro Station and 150 metres from the New Acropolis Museum. It offers air-conditioned accommodation with free WiFi and has a rooftop area and 2 bars. Located between Filopappos Hill and Syngrou Avenue, Hotel Tony has communal lounges. It is only 250 metres from the new Acropolis Museum and a 5-minute walk from Syngrou Fix Metro Station. City Circus Athens features a rooftop terrace and a bar-restaurant, just 300 metres from Thission area and within 350 metres from Monastiraki Metro Station. Just 300 metres from the Acropolis and its museum, Marble House Hotel is within walking distance from Sygrou-Fix Metro Station. The family-run property offers classically decorated rooms with free Wi-Fi in the centre of Athens. Zorbas Hostel is centrally located in Victoria Square, only 100 metres from the National Archaeological Museum and the metro station. It offers 24-hour reception and free Wi-Fi in public areas. Cybele Guest Accommodation offers accommodation with free Wi-Fi and air conditioning. 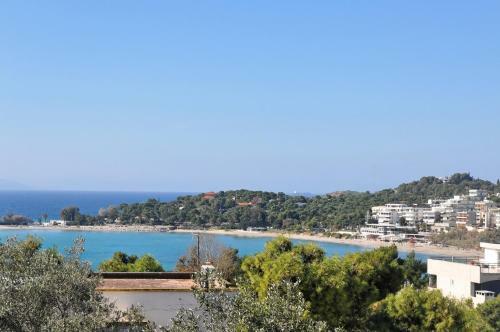 It is set amid lush greenery, 1 km from Kifisia Train Station. A continental breakfast is available each morning. Rooms at Cybele are air conditioned and heated. 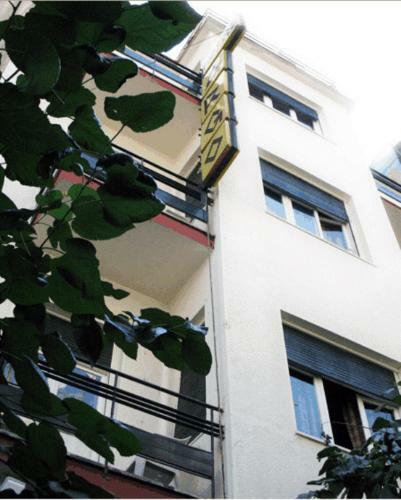 Hostel Argo provides affordable accommodation services in the centre of Athens, very near Omonoia square. Railway station, metro station and several monuments of Athens are within walking distance. Located in the commercial centre of Athens, Mc Queen is less than a 6-minute walk from Keramikos Metro Station and the lively Gazi area. The city's main railway station is within proximity. WiFi is offered throughout. Offering transfer to/from the El. Venizelos international airport, Arma Hotel is located in Palaio Faliro approximately 10 km from the centre of Athens and a 15-minute drive from Piraeus port. Located in the heart of Athens, this modern hotel offers soundproofed rooms with free wired internet and flat-screen TVs. It is 2 km from the Acropolis. 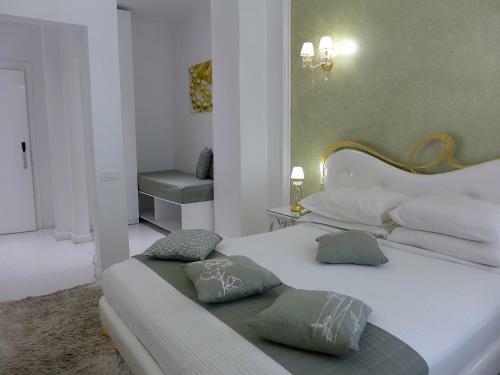 The spacious air-conditioned rooms at the Athens Way feature a contemporary style. 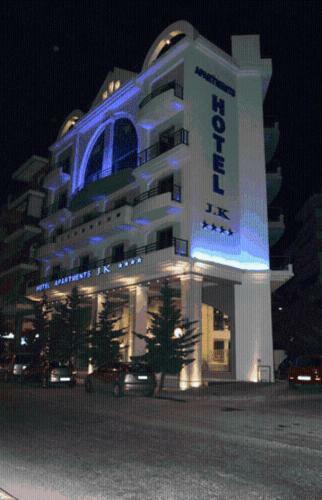 The JK Hotel offers a rooftop terrace with pool and views over the Acropolis and the Parthenon. It stands just across the street from Neos Kosmos Metro Station and Tramway Station. Athens House is situated at the centre of Athens� historic centre, just 150 metres from Omonoia Metro Station and 800 metres away from the lively Monastiraki, Psiri and Plaka districts. Located in the Vyronas district of Athens, the family-operated Pagration Hostel offers dormitory beds without curfew. It features free Wi-Fi access and a shared kitchen just 1.5 km from Constitution Square. Athens Habitat is the ideal bouncing point for business travellers who visit Athens and wish to easily access commercial and shopping district of the city. Our Hotel is something totally new in the hospitality field. Located in the heart of Athens, just beneath the Acropolis, AthenStyle studios are within walking distance of most attractions and offer stunning views of the Acropolis from its rooftop terrace. 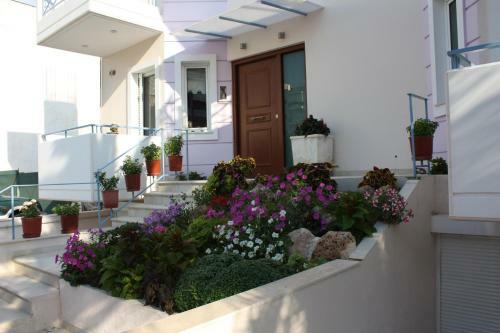 Veggie Garden Athens B&B is just a 4-minute walk from Argyroupoli Metro Station. It offers air-conditioned accommodation with a computer and free WiFi. Facilities include a garden and a shared lounge. Set amidst a lush 500-m2 area, in Panorama Pallinis, Villa Suites Tilemachos offers luxurious, self-catering accommodation with private pool and a decked terrace overlooking the Aegean Sea and the mountains. Centrally located in the vibrant area of Psiri, Live in Athens offers modernly decorated, self-catering accommodation with free WiFi. Within 2 km from the centre of Lagonisi, Stefano�s Villa offers 3-level accommodation with a private swimming pool and a furnished roof garden offering panoramic sea views. It also includes a sauna, gym equipment and billiards table. Centrally located in Athens, Athens Quinta offers vintage accommodation with a shared kitchen and shared lounge area, and a charming furnished courtyard. It provides free WiFi throughout and it is just a 10-minute walk from Syntagma Square. Located in Agia Paraskevi area, XDream One has a bar with an elegant lounge area. 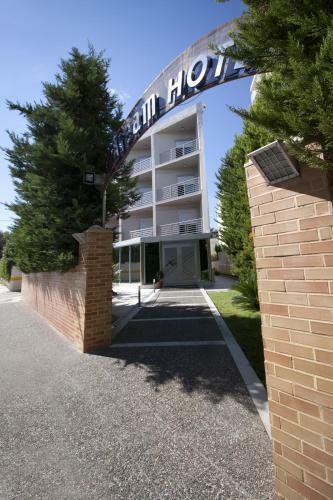 It offers accommodation with free WiFi and private balconies. Agia Paraskevi Metro Station is at a distance of 3 km . Just 300 metres from Vouliagmeni Beach, Beachside Bungalows offer fully equipped and elegantly decorated accommodation with views over the Saronic Gulf and the garden. Free WiFi access is available throughout. Vouliagmeni Lake is 500 metres away. Within 1.5 km of Alimos Marina, Scale Suites offers modernly decorated accommodation. It features free WiFi throughout, and free indoor, private parking. Eleftherios Venizelos Airport is 15 km away. Continental breakfast is served in the morning. Located in the picturesque area of Plaka, Sweet Home Hotel is 400 metres from Syntagma Square and the metro station. It features elegant accommodation and a bar. Free Wi-Fi and a 24-hour front desk are provided. Located in the heart of Athens with easy access to all the major archaeological sites, Diamond Plus offers uniquely decorated rooms with hydromassage shower. Free Wi-Fi access is available.